Denmark-headquartered manufacturing provider AddiFab is seeking to change prototyping by combining additive manufacturing with formative technology. A novel approach, the company recently raised over $1.8 million in EU funding, and it has also confirmed an ongoing materials partnership Mitsubishi Chemical. Exhibiting alongside its esteemed materials partner next month, AddiFab has now confirmed its attendance at 2019’s RAPID + TCT show. In preparation for the event, and doubtless other public appearances throughout the year, we take a look at Freeform Injection Molding (FIM) technology and how it works. FIM technology is a three step process. 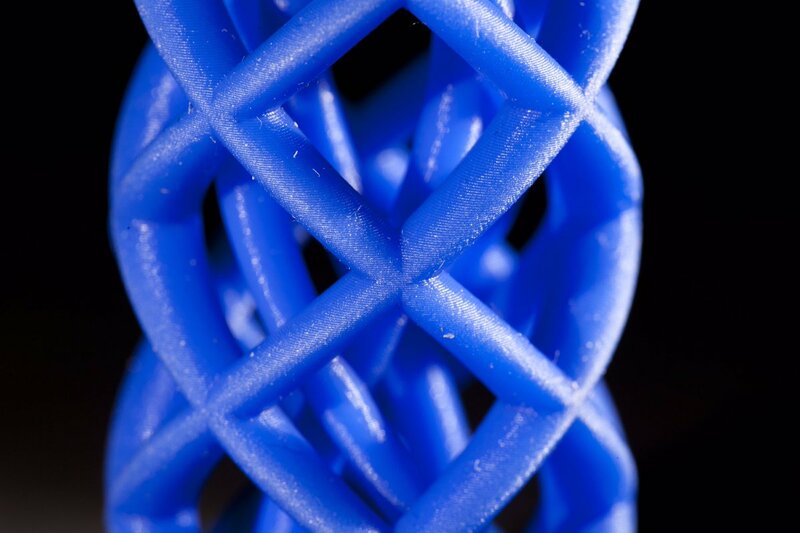 It begins with the digital design of a mold, which is then 3D printed via vat polymerization. After rinsing and post curing, the 3D printed mold is injected with a liquid metal, plastic (or soon ceramic) material, and the mold is dissolved in a water solution, leaving a solid cast part. For this purpose, AddiFab has developed two machines over the past five years: the Add-Line Automatic and the Add-Line Manual. Designed to 3D print and store multiple build platforms, the main difference between these two machines is the level of automation integrated into post and pre build, and the number of items they can produce in a single batch. As an example, the Add-Line Manual can produce 20 hearing-aid shells or silicone molds; 15 molds for planet gears; and 45 dental crowns in a single batch. The Add-Line Automatic, with automated build plane exchange, storage, resin supply and build recovery, is capable of running for 48 hours without interruption producing thousands of parts.